With 15 turns wrapping over 3.9 miles of grade-changing asphalt convolutions, the F1-class Circuito de Navarra race track in northern Spain fills the raked windshield of a sensuous 2-seat Jaguar roadster convertible as we cinch a seatbelt even tighter while awaiting a signal to unleash the boost of a twin-vortex Eaton supercharger and allow this rear-wheel-drive sportster to zip around the circuit at triple-digit speeds. On a blacktop race track at Chrysler's Michigan vehicle test facility, a juicy 2013 SRT8 Super Bee edition of Charger -- Dodge's 4-door sports sedan wearing the nameplate of a 1966 muscle car icon -- runs the straightaway at lickety-split speed in our special test drive. This modern muscle car flashes the menacing face of a bulldog and wears shapely body bulges over the sleek profile of a coupe despite a pair of doors hanging off each side. 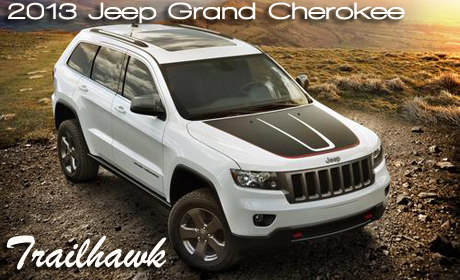 It also carries the formidable credentials of a street-legal racer: A lowered chassis with taut suspension tweaked for performance, massive 20-inch alloy wheels wrapped in Goodyear Eagle RS-A performance tires, big four-piston brake calipers and a humongous 6.4-liter V8 engine that's a high-tech rendition of Chrysler's fabled HEMI plant with hemispheric combustion chambers. The 2013 Charger SRT8 Super Bee special edition, named after Dodge Super Bee muscle cars produced from 1969 to 1971, deletes some luxury equipment and electronic gadgets from the 2013 Charger SRT8 to pare the price tag and forge a leaner muscle machine dressed in a distinctive can't-miss-me paint job. Not a cloud clots the vivid blue sky above Florida's Gold Coast as we troll the palm-lined Las Olas Boulevard of Fort Lauderdale for a drive test in Volkswagen's 2013 Beetle Convertible, a roly-poly-cute 2+2 bug car with the electrified lid lowered and warm sunlight splashing across a curvaceous car body tinted to a vivid shade labeled Tornado Red. The new Beetle Convertible, derived from the new third-generation Beetle hatchback, has front-wheel-drive orientation and three powertrain choices including a fired-up Turbo and high-mileage Clean Diesel. We're buckled to the bucket of a juiced 2013 Outback 3.6R, Subaru's 5-door crossover wagon built in Indiana, with hands working a sporty steering wheel on a hair-raising drive test through the Blue Ridge Mountains of North Carolina. The automatic transmission's manual shift mode runs through paddle shifters planted on the steering wheel, so we play the finger-flicker game to manage all of the torque from a gutsy boxer-6 engine and send it to all of the wheels through a 4-wheel-drive mechanism which operates automatically with Variable Torque Distribution (VTD). 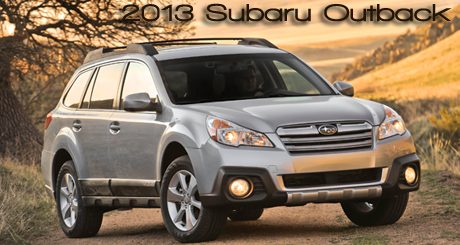 Outback was designed to live up to its rugged name. A curvy road stretches northward through Silver Bay and Hague to Ticonderoga along the ragged western shore of Lake George, where the run-off of melting snow combines with a mist coming off the lake to create a slippery route ideally suited for testing the non-skid traction capability of Mitsubishi's 2013 Outlander Sport crossover utility vehicle. Hunkering low against the road and hugging hard through each tight curve, our Outlander Sport carves a crisp and controlled line through each curve of the Adirondack road at a rather fast clip. Twisty kinks of serpentine asphalt on route 276, the Pisgah Highway which cuts across the Blue Ridge Mountains of North Carolina, show off sporty handling traits during our drive test of the 2013 Lancer Sportback GT, a compact-class five-door sport hatchback from Japan's Mitsubishi. Hunkering low against the road and hugging hard through each tight curve, one Sportback carves a crisp and controlled line through each curve at a rather fast clip. Chunky granite boulders stack up as one of many stair-stepping barriers to our four-wheeling progress while on a test drive steering a 2013 Jeep Grand Cherokee Trailhawk special edition sport utility vehicle on a definitive off-road track for Jeep at Chrysler's vast vehicle test facility in Chelsea, Mich. Confronted by the bumpy tangle of rocks, any driver might prudently assume that the best way to proceed beyond this barrier would be to find some path that skirts it, but for our experiment we must crawl over the boulders because the objective of this excursion is to test the off-road prowess of Jeep's ultimate four-wheel-drive (4WD) SUV. A craving for test driving through zigzag curves brings us to the slalom esses on Valley of Fire Highway, a ribbon of blacktop snaking through scarlet sandstone canyons in the Nevada desert. So we hitch our seatbelt and get a grip on a leather-bound steering wheel of the 2013 Genesis 3.6 Track, Hyundai's low-slung sports coupe now in its fourth year of production but wearing a fresh face and offering two juiced-up powertrains, a shift-it-yourself 6-speed manual stick or new 8-speed automatic with paddle-shift capability, and way more standard content. Then we plant a foot on each aluminum pedal -- one on the go pad and the other on the stopper -- to set the rear pair of Potenzas to smoke-n-screech mode. Now stomp that throttle but brace for a neck-snapping launch: That sleek Genesis scoots down the twisty road to whip us dizzy in a serious pavement performance. Pointing north on Peachtree Road through Atlanta's tony Buckhead neighborhood for this drive test, we're strapped in the sporty Recaro driver's bucket of Ford's souped-up Focus ST, a 5-door hatchback for the compact class with a sleek body kit painted in Tangerine Scream and the seemingly conflictive traits of spirited performance and fuel efficiency.